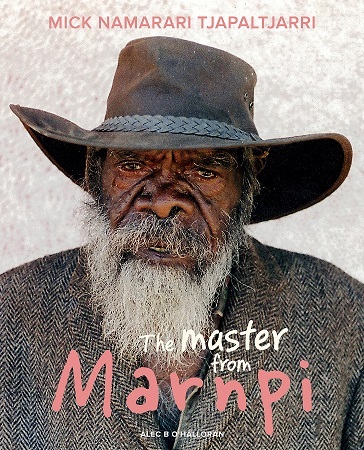 The master from Marnpi is the authorised biography of Aboriginal artist Mick Namarari Tjapaltjarri (c1923-98). Tjapaltjarri was a Pintupi man and award-winning Papunya Tula artist from the Western Desert. Alec O’Halloran’s book will be launched nationally on Friday 7th September in the Araluen Arts Centre, Alice Springs, during the Desert Mob Symposium. Further information. A Sydney Launch will also occur on Saturday the 13th of October 2018.